Emphysema is Progressive and it's Caused by Smoking. 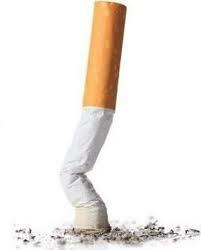 If You Need a Reason to Quit then here it is! More and more smokers are diagnosed with emphysema every year. Many smokers eventually end up with chronic obstructive pulmonary disease (COPD). This is a term given to one of the many lung diseases. Many smokers fear that they may get lung cancer from smoking but most often it is a COPD that they end up with. One of the COPD's that is directly attributable to the smoking of cigarettes is emphysema which is characterised by shortness of breath and an inability to tolerate physical exercise. Emphysema is a progressive disease which means that once you have it, even in its mildest form, it will progressively worsen even after you have removed the cause - and by that I mean ; quit smoking. It is directly related to the continual inhalation of air that contains fine particles of toxic matter or toxic vapours for example; cigarette smoke. It is characterised by the expansion of alveoli (tiny air sacks)in the lungs which leads to the deterioration of capillaries leaving large cavities in the lungs. Because of these cavities and therefore reduced surfaces where gas exchange takes place, the ability of the lungs to take up oxygen for the body is severely impaired. My father had emphysema - he was diagnosed eight years ago at the age of 70. He had no symptoms and was a smoker at the time of diagnosis. His doctor decided to send him for some lung function tests and an MRI on his lungs. After Dad received his diagnosis he immediately gave up smoking by taking Champix. Over the last eight years we have watched Dad get progressively worse. On a few occasions we had to call paramedics to take him to hospital because he simply could not get enough oxygen and he said he felt like he was drowning. Dad passed away on August 21st this year at the age of 78. You may be sitting there thinking that he was an old man but 78 is not old. If he had not smoked he could have enjoyed the last eight years being able to breathe and he might have lived another 20 years. There is no cure for Emphysema, research is being carried out in Germany using stem cells in the hopes of repairing damage done to the lungs but this treatment is extremely costly. The only advice given by doctors is to exercise gently in hopes of improving lung function and to take it easy. Some doctors prescribe oxygen taken through nasal cannulas but if the sufferer is on oxygen therapy in this way the risk is that they become dependent on it and the lungs are not working for themselves. Every time Dad thought he may have caught a cold or a throat infection he had to immediately take antibiotics in case some infection was headed to his lungs. He could only walk the length of his driveway and even then he was doubled over trying to get air into his lungs. My parents had made many plans for their retirement but all those plans had been ditched, instead their lives were spent going to doctors appointments or to specialists and hospitals. This is no way to live and the chances of getting emphysema are quite high. I smoked for 28 years and gave up seven years ago at the age of 43 but I am still not certain if have this awful lung disease or not. Return from "Emphysema" to "How to Quit Smoking"